Over the past 100 years, gulls have been brought ashore by modernity. They now live not only on the coasts, but in our slipstream following trawlers, barges, and garbage trucks. They are more our contemporaries than most birds, living their wild lives among us in towns and cities. In many ways, they live as we do, walking the built-up world and grabbing a bite where they can. Yet this disturbs us. We’ve started fearing gulls for getting good at being among us. We see them as scavengers, not entrepreneurs; oceangoing aliens, not refugees. They are too big for the world they have entered. Their story is our story, too. 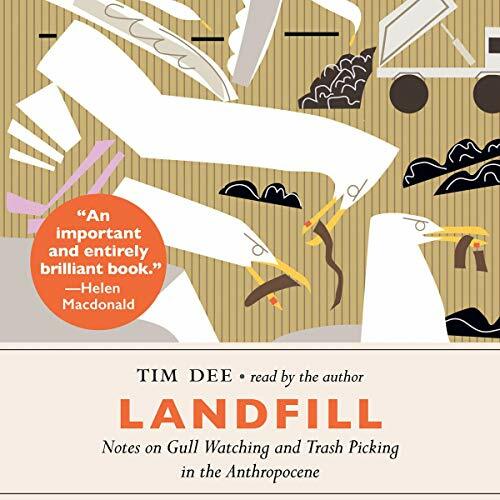 Landfill is the original and compelling story of how in the Anthropocene, we have learned about the natural world, named and cataloged it, and then colonized it, planted it, or filled it with our junk. While most other birds have gone in the opposite direction, hiding away from us, some vanishing forever, gulls continue to tell us how the wild can share our world. For these reasons, Landfill is the nature audiobook for our times, groundbreaking and genre-bending. Without nostalgia or eulogy, it kicks beneath the littered surface of the things to discover stranger truths.